Traveling—especially with a family in tow—requires lots of advance planning and preparation. There are flights and hotels to book, excursions to be arranged, and movies to download from Netflix or iTunes. And while you could bust your budget with a pre-trip supply run to Target, there are actually some things that you should avoid buying before you travel. We spoke to several experts and learned about six things you shouldn’t be spending money on before your next trip. 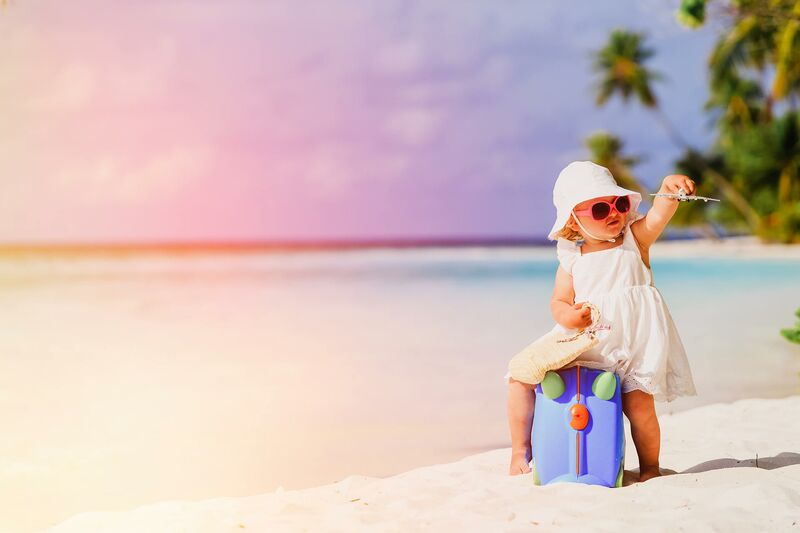 Your kids will still look cute in all your vacation photos even if they aren’t wearing brand-new T-shirts or jeans. So don’t spring for a new wardrobe before heading off to your destination—especially since there’s a chance those new duds could get left behind at the hotel or spilled on repeatedly from eating on the go. Sally Black, director of the Family Travel Association, recommends taking that idea one step further, especially if you’re traveling to a country where there might be residents in need. Sizing may be different, and you may have to do some math to translate kilograms to pounds. But it’s easier to buy more diapers when you arrive than to lug them around throughout your trip. Discount bundles like CityPASS can be totally worth spending your money on. But McCarthy recommends waiting until you arrive to make the purchase. “Families with children do better being more open as travelers than being committed,” she says. “You might get to your destination and surprise! There’s some national holiday you weren’t aware of, and you don’t spend your time going into museums or doing some of things you anticipated, because a serendipitous attraction has appeared.” And if a discounted ticket package still winds up being a good option, you can usually buy it at the first attraction you visit for the same price. It may sound tempting to check one item off your list by pre-paying for breakfast at your hotel. But it’s not always the smartest move. Now don’t think we’re knocking travel insurance. But if you travel frequently as a family, you may be better off buying an annual travel insurance policy than one for each individual trip. “If you travel more than twice a year, you need to have a multi-trip annual policy,” says Means. But do your research. Some annual plans just cover things like emergency medical and evacuation expenses. If you want coverage for trip cancellation or travel delays as well, make sure that’s included. Understand what kind of coverage your cell phone carrier offers in the region to which you’re traveling. Then decide just how connected you need or want to be during your vacation. Maybe it’s a good time to get off the grid for a bit.